Akrapovič has launched a package of products for the dynamic BMW M2 that will take this already breath-taking car on to even more impressive performance levels and push the aesthetic styling to new heights. The Akrapovič Evolution Line (Titanium) exhaust system is made from ultra-lightweight high-grade titanium, which will contribute to lowering the overall weight of the car and aid its already impeccable handling even further. This perfectly finished ECE-approved system has been tuned to get the most from the TwinPower Turbo six-cylinder engine of the M2 and is designed to provide more power all the way across the rev range. As a simple plug-and-play system, it offers a superb addition to improve the performance of the BMW M2. Expertly styled and designed by the Akrapovič engineers, this new system features two separate tubes from the downpipe to the muffler – unlike the car’s original single-tube configuration. It is perfectly routed and shaped to provide optimum gas flow from the M2’s stunning engine and provide a noticeable performance increase (9.3 HP at 6,150 rpm and 8.8 Nm / 6.5 lb-ft at 4,300 rpm). The sound has been enhanced by Akrapovič’s technicians; the unique external sound is higher in pitch, giving a true racing feel in the upper rpm range. With a clear and noticeable transition between the open and closed valve settings, the inside sound level is slightly increased, which offers improved sensual appreciation of the system. With two valves in the closed position, the Evolution Line is perfect for everyday use with low-rpm driving smooth and refined, while still showing the true potential of the system. However, when higher revs are hit and the valves – which have housings cast in Akrapovič’s in-house titanium foundry – are opened, the sound has an addictive racing tone. The sound of this superb system can be further controlled with the addition of the optional Akrapovič Sound Kit. This easy-to-install option allows louder or quieter settings of the Evolution Line. It has a special program for valve management (in quiet and loud mode) that is different from the stock version and controls the valves according to rpm, gear, and car mode. Performance can be further increased by adding the optional downpipe, which can be purchased with or without cats. 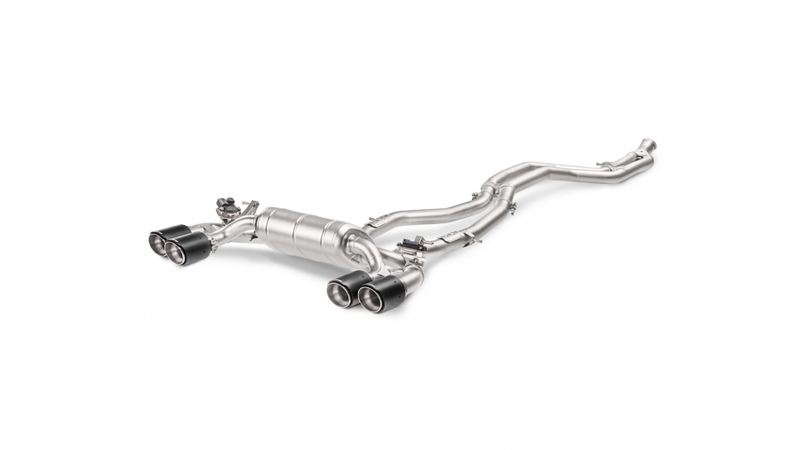 Made from high-quality stainless steel and fitted with a sporty catalytic converter, no remapping is needed for this performance upgrade (plus 13.1 HP at 6,200 rpm and 21.7 Nm / 16 lb-ft at 4,300 rpm) and the cat is designed to meet ECE regulations – which creates a complete exhaust system, from downpipe to tailpipes, that is fully ECE type-approved. The high-flow downpipe provides an enhanced sound that delivers a pure racing emotion and fantastic feedback in high revs, making changing gears under full load a great experience, without any unwanted drone and suitable for everyday use. The next step in the exhaust-tuning process is the addition of a stainless-steel downpipe without a catalytic converter. This will provide the best sound optimisation and increase the performance of the car. Designed primarily for track use, this downpipe will require an ECU remap when it has been fitted to the Evolution Line. 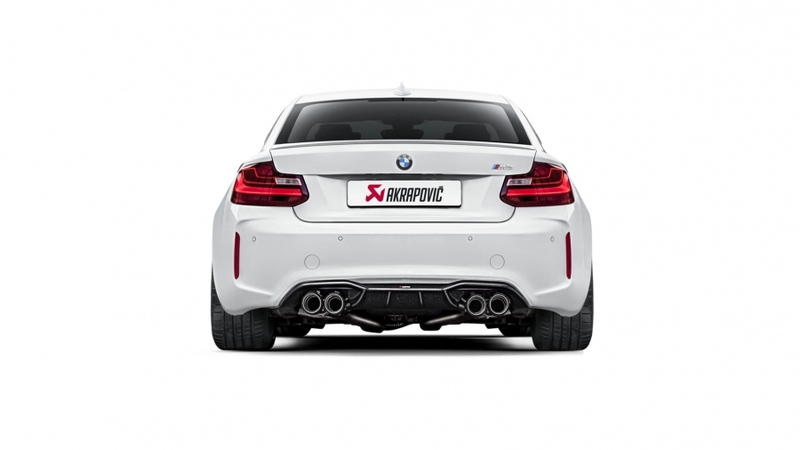 Double carbon-fibre tailpipes give an added look to the rear of the M2, to further show off the exhaust to its perfectly designed best and display its sporting potential. Perfectly finished in hand-crafted carbon fibre, these twin tailpipes offer a visual experience that shows that this car means business. To set off the system even further to its visual best, optional parts are available, including side mirror caps for the first time from Akrapovič on any vehicle. 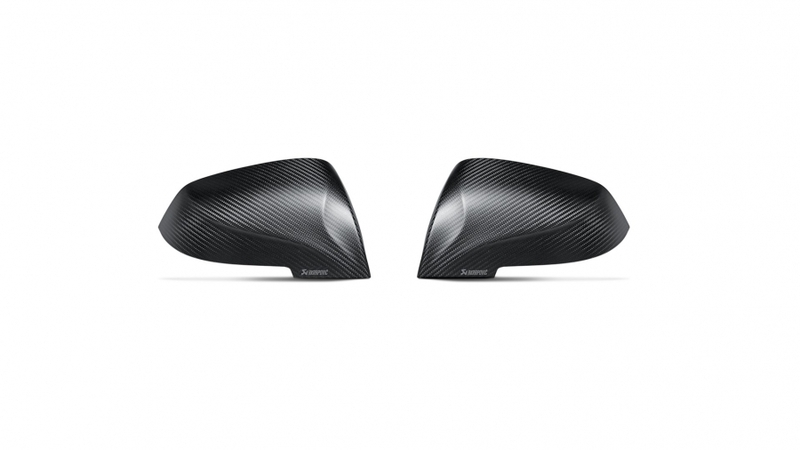 Made from beautifully hand-crafted carbon-fibre in a matt or high-gloss finish, these original products are designed to emphasise the sporty lines of the M2 and complement the other Akrapovič external options. 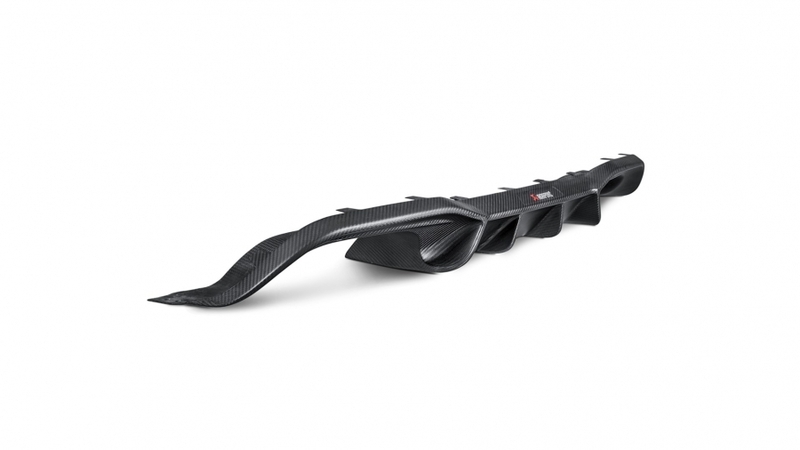 To match the mirror caps, a carbon-fibre diffuser is offered as an option with the choice of a high gloss or matt finish. It is a completely new design from the one that comes as standard on the car, and it gives the rear of the M2 a more aggressive and sporty feel, while showing off the tailpipes to their full extent. All hand-finished in the Akrapovič factory, these products create a superb package for the M2 that will certainly make it stand out from the crowd even more. This is the first time that Akrapovič has offered the diffusor in both versions – carbon matt and carbon high gloss – and it emphasises the importance of these products to the Slovenian exhaust and accessory experts. With improved performance, lower weight, the unique Akrapovič sound, beautifully designed Akrapovič carbon-fibre optional parts – some available for the first time ever in matt and high gloss – and additional parts to take the tuning to the next level, this is an array of products that add to the performance and beauty of the BMW M2 and showcase the technological and design capabilities of Akrapovič to the full.